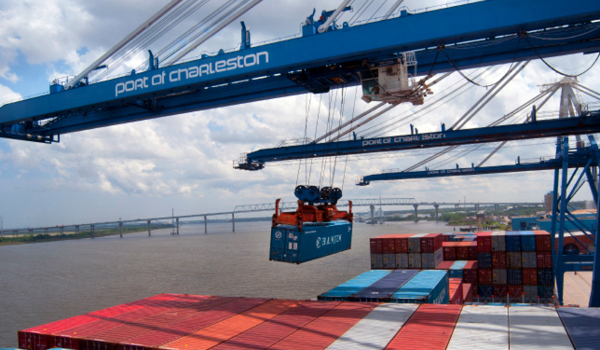 South Carolina Ports Authority (SCPA) set a new container volume record, handling 2.2 million TEUs during 2017, and posted nine-percent container volume growth. The port's total container volume in 2017 surpassed the previous record of 2 million TEUs achieved in 2016. In addition, the port moved 182,884 TEUs in December 2017, an increase of 11.2 percent over December 2016 and the highest December in SCPA history. "Global container trade growth was the strongest it has been since 2010, mirroring surprising strength in the global economy,"says Jim Newsome,SCPA president and CEO. "We expect to see continued strength, albeit slightly more modest, into 2018 with growth in the emerging market economies as a key factor in sustaining this positive outlook."